Warden Hill Driving School is the largest driving school in Luton and has gained the community’s endless trust since it started in 1986. In 26 years, they have seen thousands of pupils jump with joy when they pass their test. Through their innumerable successes, the ORDIT-qualified school has expanded to cover North London, Hertfordshire, Bedfordshire and Essex. It is comprised of two sections – a franchise and a training college for instructors. The breadth of tuition provided is outstanding, taking on pupils from many different driving backgrounds. Instructors are fully qualified to teach beginners or those who need retraining or retesting. Lessons are also provided after qualifying as the Pass Plus course equips pupils to deal confidently with motorway driving, night-time, and inclement weather driving which allows their pupils to dramatically reduce the cost of insurance and the risk of accidents. Their dedication is best shown in their intensive courses where instructors take on pupils one-to-one to get their licence in just one week. The course is tailored to each pupil’s needs and learning style so that they get the most out of their lessons. The under-17 drive plan is another of their innovative courses that provides tuition to 11-17 year olds. Not only is it immensely enjoyable for the teenagers, but it also provides reassurance for parents. Only dual-control cars are used, meaning that the instructors have full control of the car at all times. All instructors are also DBS-checked and work hard to provide a fun and professional service for their younger-than-average pupils. Once they are old enough to start learning at 17, the young adults are far more prepared for the road as the plan is engineered to reduce road accidents of those who have recently passed. Many instructors have had special training to teach those with special requirements, for example dyslexia, dyspraxia or hearing impairments. Should any pupil require special requirements, they only need to phone and the head office will search the Tutor Diary Database for the perfect instructor for them. The instructor team consists of 30 fully qualified instructors with over 150 years combined of teaching experience. The school is always looking for more outstanding individuals to join them; those who have been teaching for years and would like to become part of a wonderful and dedicated school or those who are looking for their first job or a career change to what is truly a job for life. No experience is necessary, only a personal touch, a caring outlook and unfailing enthusiasm. In-house training is provided and can take as short a time as 26 weeks. Once you qualify as an instructor and join the school, the training costs will be fully refunded and you can start earning straight away. ADIs are even offered a training session in how to use Tutor Diary, which many of the instructors took advantage of to gain confidence in the software, and to great success as they now love the program. One of the best advantages of Tutor Diary that Warden Hill’s instructors and staff have described is that it now makes their business a 24/7 operation. Before, no lessons could be booked out of hours which made the mornings very busy, as the work from the night before had to be caught up with. Melissa, a secretary at Warden Hill who has been working there for four years, believes that Tutor Diary has “saved me a lot of time”. The software updates all appointments instantaneously which means that the instructors’ diaries are always up to date, even when they get home late at night. 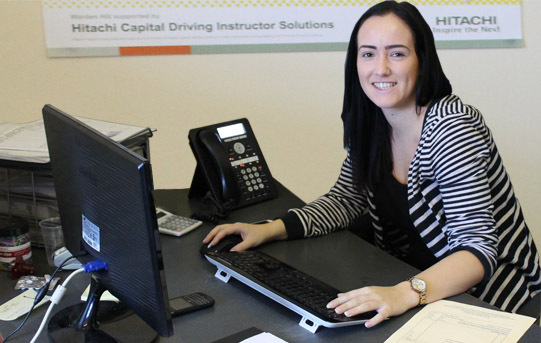 Warden Hill Driving School is looking forward to a bright future. They value every instructor and can’t wait to take them with them as the school grows. Such a large scale operation would be impossible without the ease that Tutor Diary provides.